Jason Willis’s basketball players at Edison Tech probably don’t know the full accomplishments of their assistant coach. Right now Jason is more concerned that his Inventors make practice on time and work hard in the classroom. And we have a bonifide NYC streetballer in our midst. Jason describes playing and coaching from ’05 to ’10 for Primetime (with Head Coach James Ryan), serving losses to the likes of “Crossing Guard,” “AO,” “Headache,” “Homicide,” and “Bone Collector.” Jason–or Dr. J as I like to call him, given his Ph.D.–played/coached in the NIKE, Classic Rucker (Medger Evers University in Brooklyn), EBC (Entertainment Basketball Classic) Rucker on 155th in Harlem, Dykman, 145th Street and many more, all of which drove his passion for the game. But what’s more impressive about Jason is his remarkable dedication to success on the hardwood floor and the lecture hall. Having graduated from Division III SUNY-Brockport with a double major in African-American Studies and Sociology, Jason received the PROMPT Fellowship at Southern Illinois University for an M.A. in Sociology. 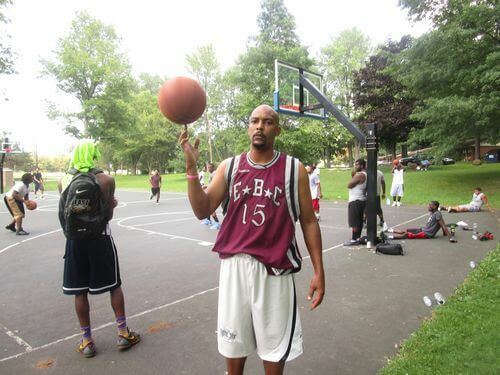 From Illinois, he began his career as an educator and coach at the Manhattan Center for Science and Math in Spanish Harlem, 116th and Pleasant Avenue, while “moonlighting” on the streetball scene. The best was to come as, upon receiving his M.A. from Mercy College as a NYC Teaching Fellow, Jason earned a scholarship to Jackson State University for a Ph.D. in Educational Administration and Supervision, While in school full time, he also coached Division I basketball at Jackson from ’09 – ’12. Some of the Tiger’s accomplishments were a record 17 regular season wins in the SWAC and playing in the 2010 NIT Tournament. After completing his Doctorate, Jason returned to Rochester (he went to Penfield High) and began working for RIT in the Criminal Justice Department in Fall 2014. Back in Rochester, Jason knew he wanted in some way to share his story and to weigh in on young men’s lives, stressing the importance of hard work and scholarship. 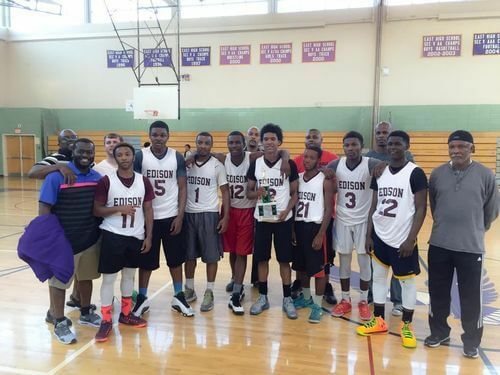 Needing to find a basketball home to do so, Jason was welcomed into the Edison Tech basketball family via Jacob Scott, Assistant Principal and Head Coach. Jason will say that not enough African-American men shoot for the Ph.D. His goal is to be a quiet but steady model. Jason doesn’t expect his student athletes to understand all that it takes to get a Doctorate. But he imparts to them that, one free throw and one extra study session at a time, they can achieve.